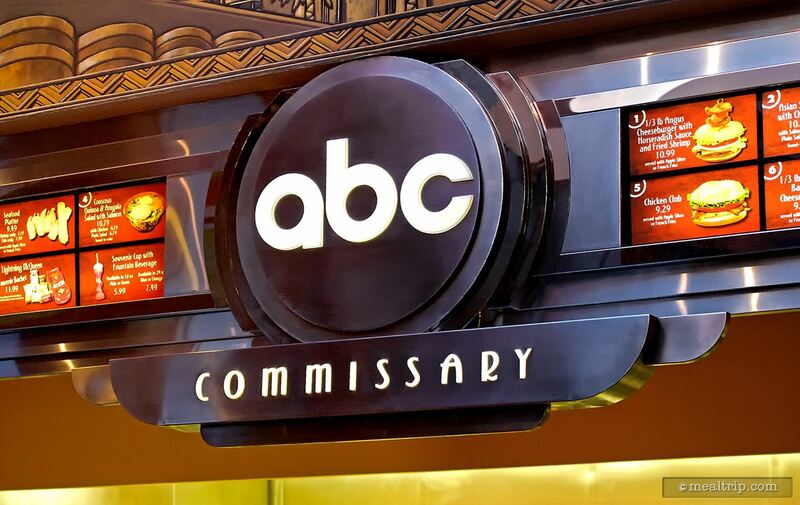 The lightly Art Deco themed ABC Commissary is counter service location that is themed after... the ABC Corporate Headquarters Cafeteria in New York. As such, it offers a little bit of everything food-wise. From Couscous Quinoa & Arugula Salad and a couple Asian salads with Salmon or Chicken, to Fish and Chips, and 1/3 lb Cheeseburgers. Various desserts and beverages including beer and wine are available. A restaurant reviewer once told me, that he should be able to order anything off the menu, over multiple visits, and it would all have to be delicious in order to get a great review from him. While I do agree in premiss, the unfortunate truth inside theme parks is... we may have to be satisfied with finding the one or two "best" items that the restaurant is offering, and recommend those. 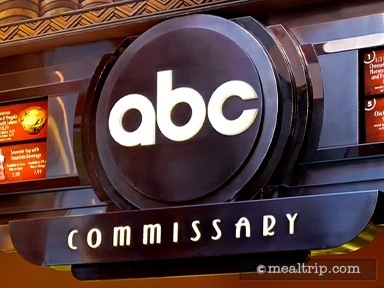 I believe, at Hollywood Studio's ABC Commissary, that entree would be the Couscous and Quinoa Arugula Salad. 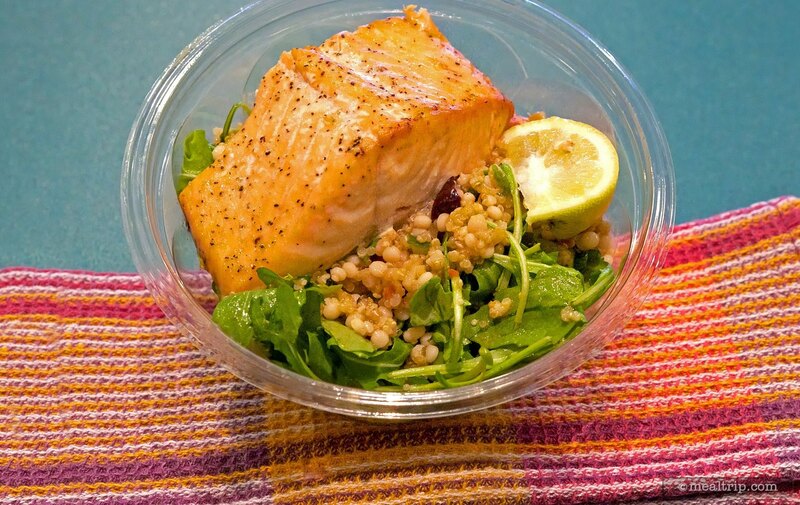 There's a variation with Salmon, with Chicken, and as a vegetarian-only entree, and all three are really great salads. The salads are tossed-to-order with a Greek-inspired dressing, a few sliced Kalamata olives, and just the right mix of pearl couscous and quinoa. On my most recent visit, the salmon that sat atop my salad was well seasoned, seared perfectly, and was quite large. I couldn't have been happier with the entree. The dining area itself, seems to be vulnerable to the ebb and flow of guests however. At peak times, everything from cleanliness and service to the food quality appear to be stressed. Hit it just right, get one of their salads, or even one of the various fried seafood platters… and it's a great place to dine. If the line of guests stretches from the registers out to the main entrance... I'd think about finding another location. There are a couple other great counter service locations at Hollywood Studios that are more consistent through peak dining times.